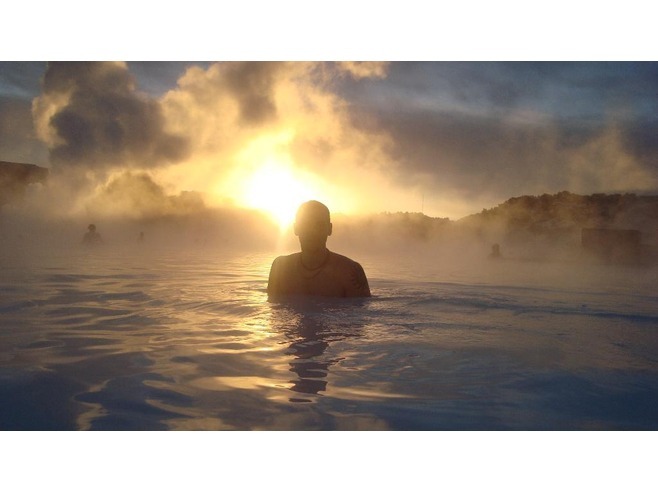 Blue Lagoon (geothermal spa) is one of the most visited attractions in Iceland. The steamy waters are part of a lava formation. 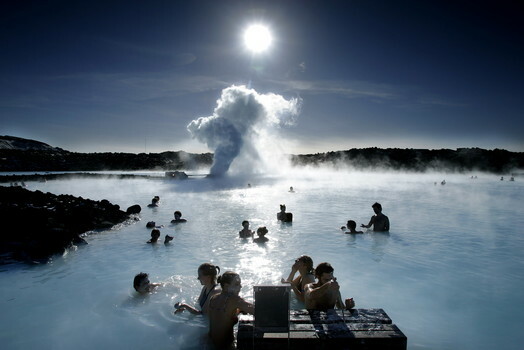 The spa is located in a lava field in Grindavík on the Reykjanes Peninsula, southwestern Iceland.The warm waters are rich in minerals like silica and sulphur and bathing in the Blue Lagoon is reputed to help some people suffering from skin diseases such as psoriasis. 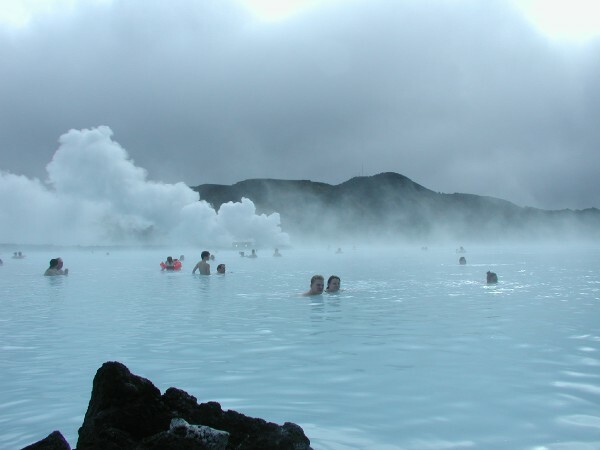 The water temperature in the bathing and swimming area of the lagoon averages 37–39 °C (98–102 °F).The lagoon holds six million liters of geothermal seawater, which is renewed every 40 hours. Regular sampling shows that “common” bacteria do not thrive in this ecosystem, thus additional cleansers such as chlorine are not needed. White Silica mud settles at the bottom of the lagoon and doubles up as a perfect mineral-rich face pack. 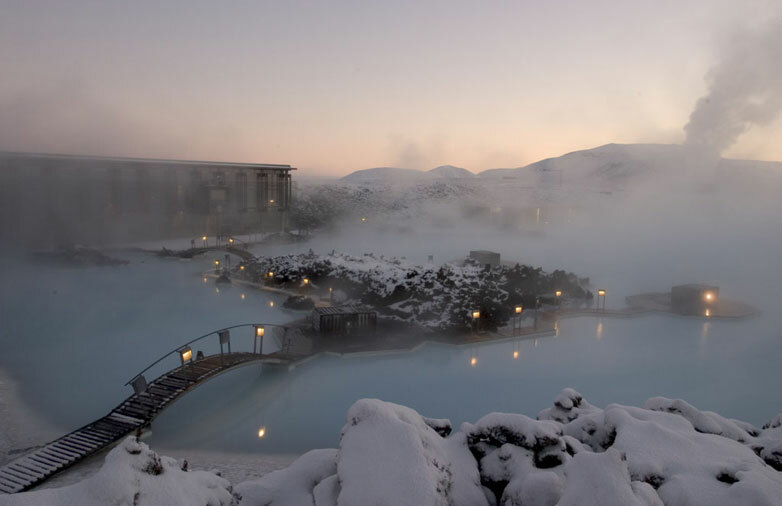 The Blue Lagoon geothermal spa is actually artificial and was created as an over-spill pool for the nearby Svartsengi geothermal power station. When heat and electricity has been generated from the water, it is pushed through to the lagoon. That first sublime dip into the warm, cloudy blue waters feels like you’re taking the bath of your life. Watching the rising steam dance and swirl above the waters is a sight to behold, especially if you’re there when the sun sets.